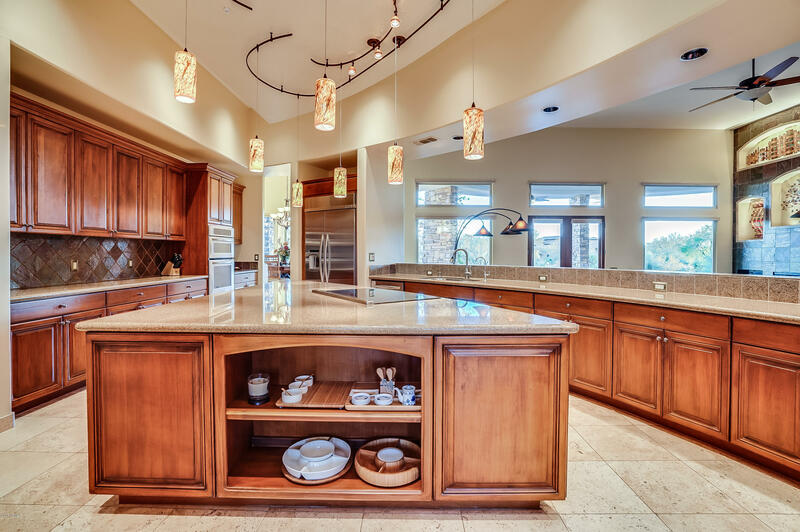 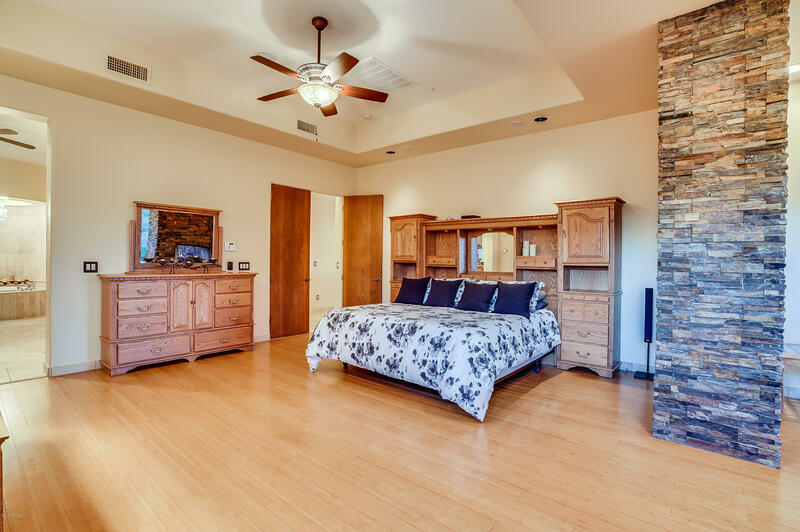 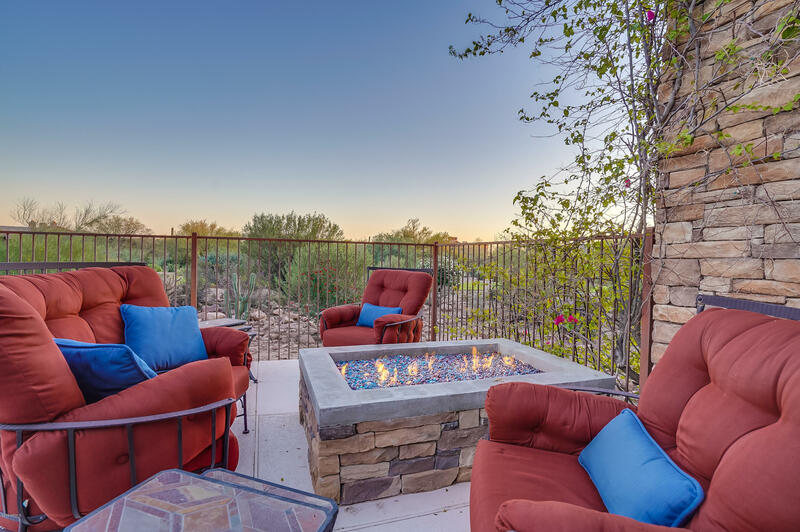 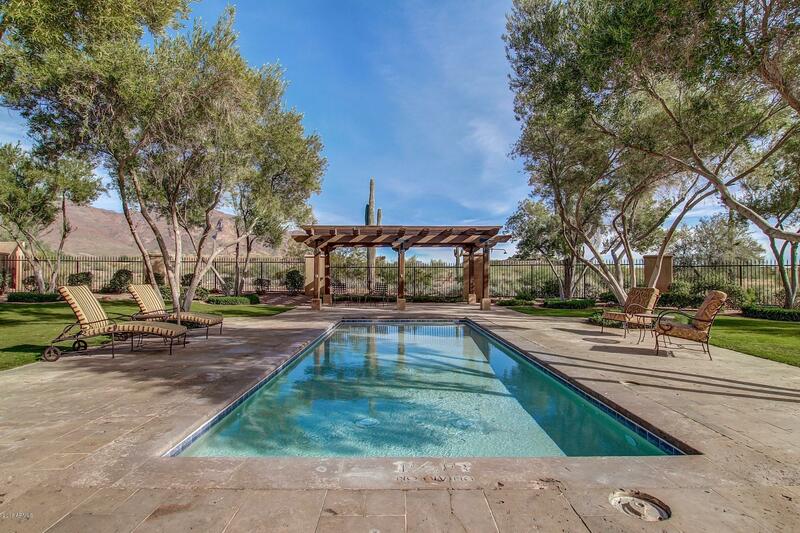 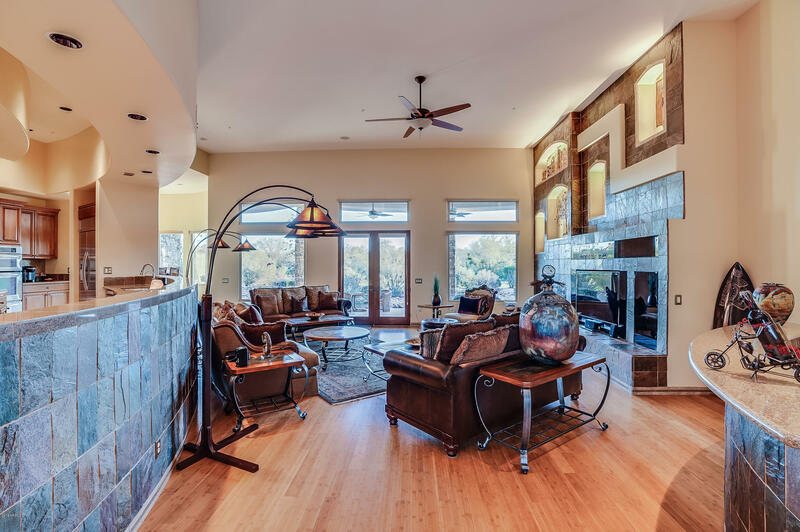 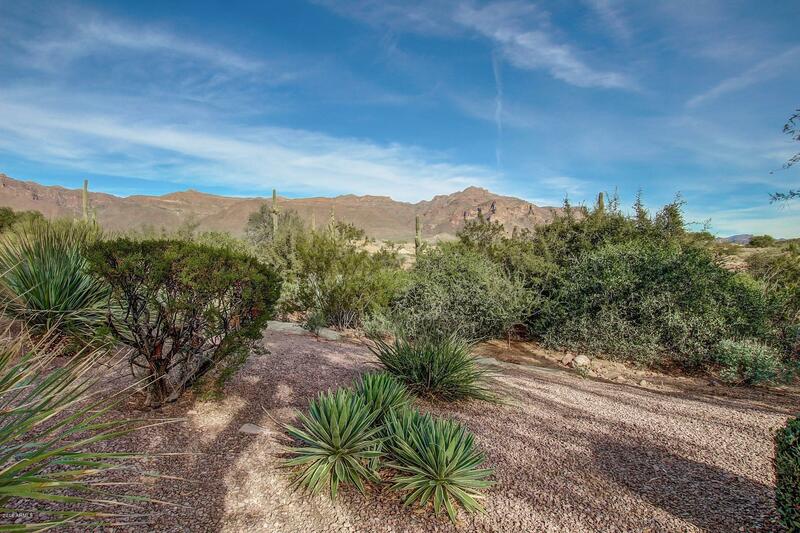 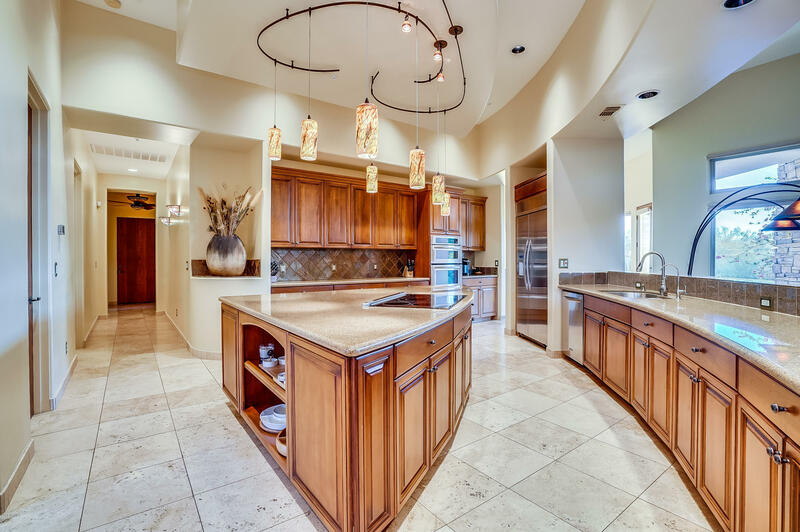 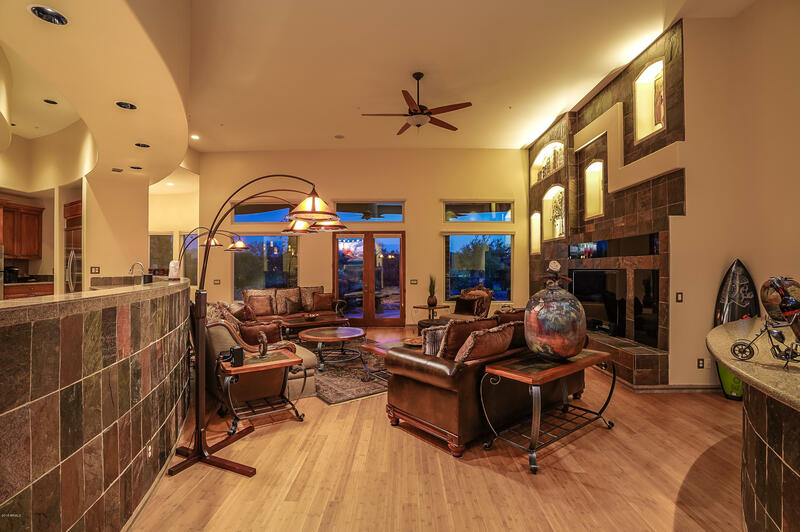 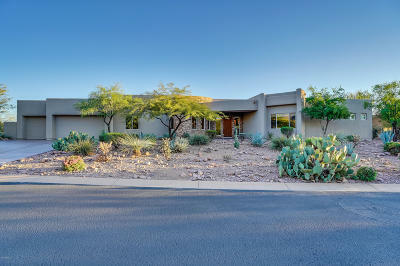 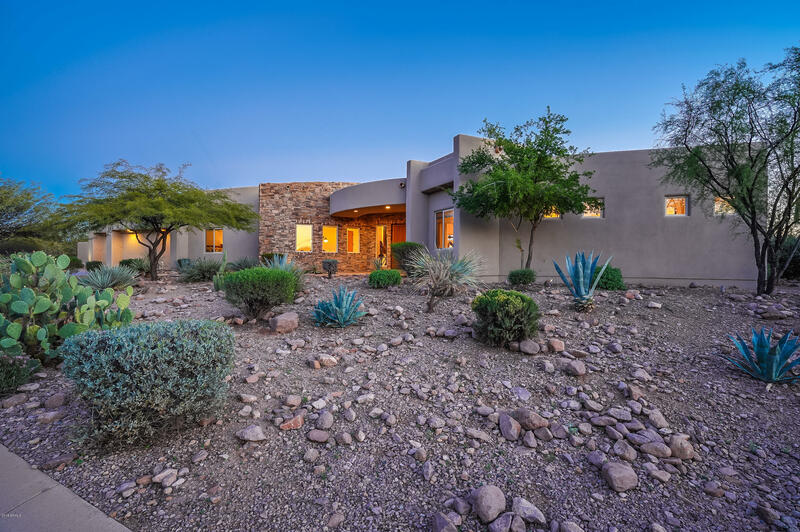 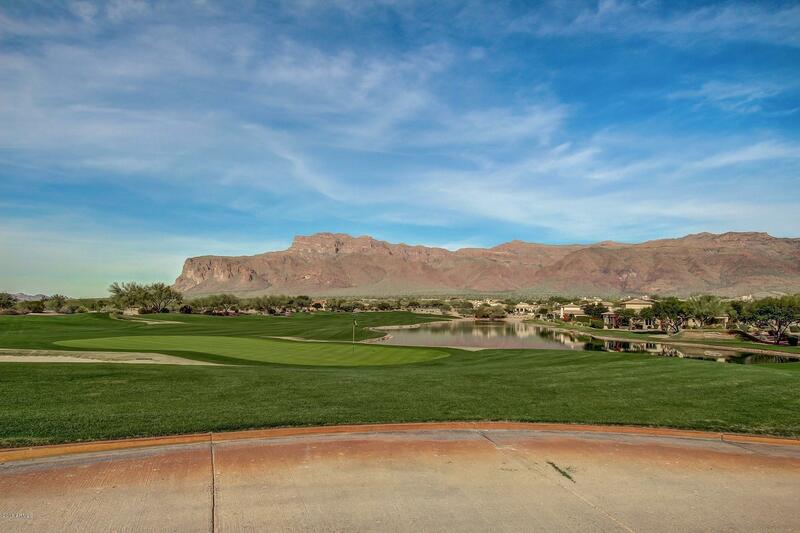 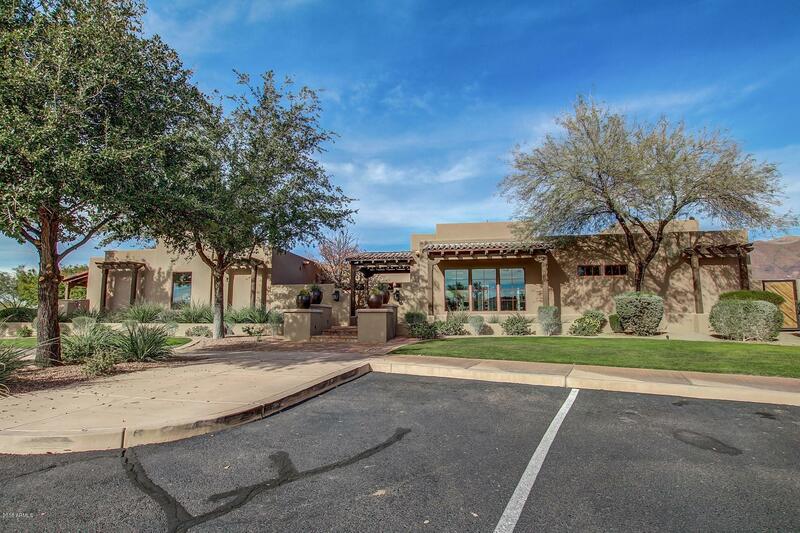 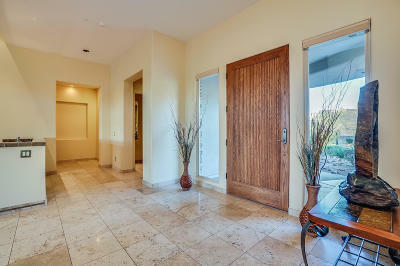 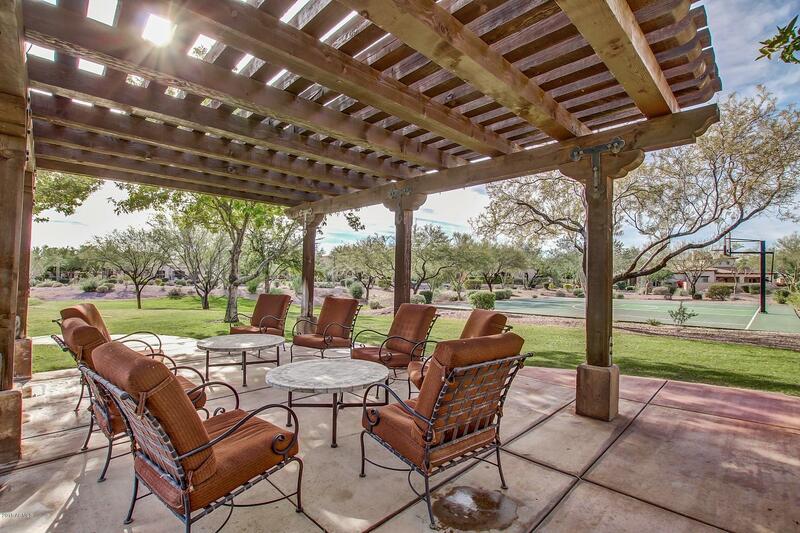 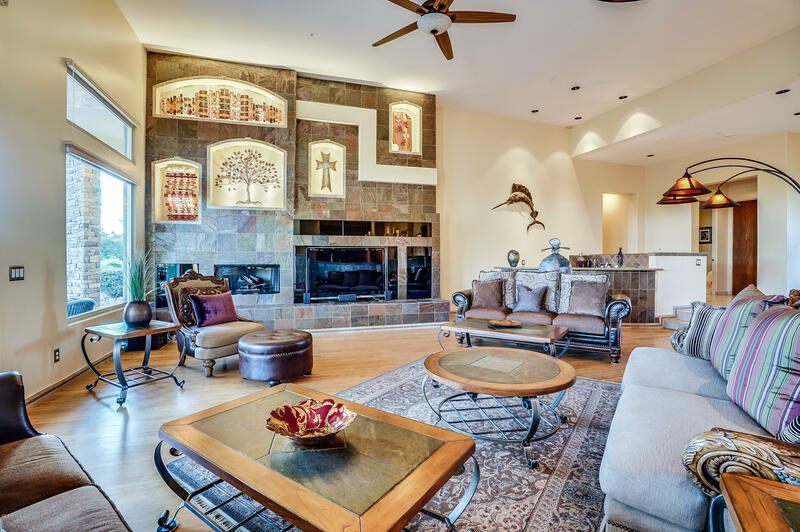 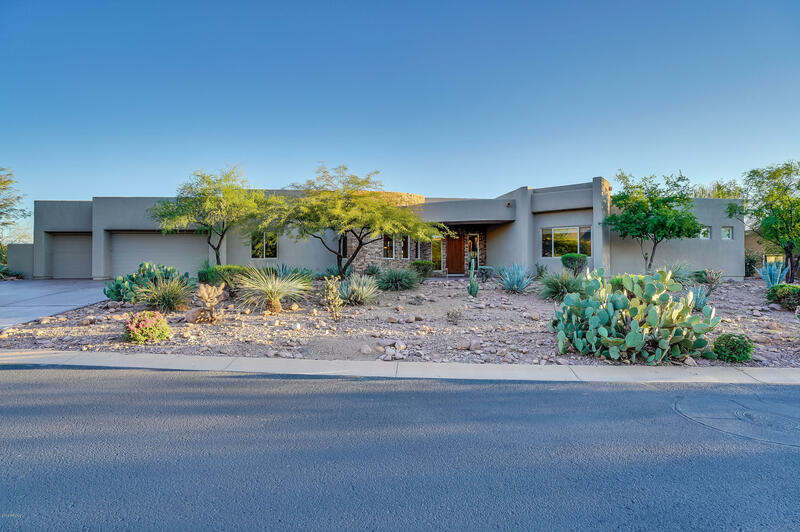 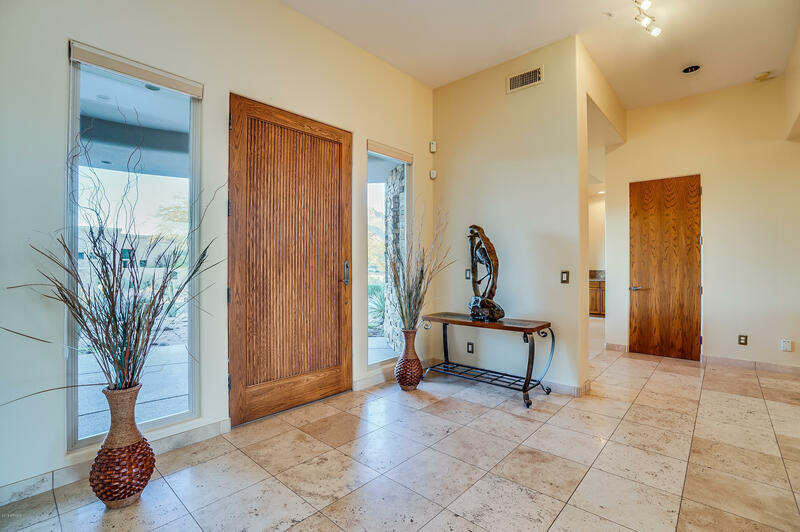 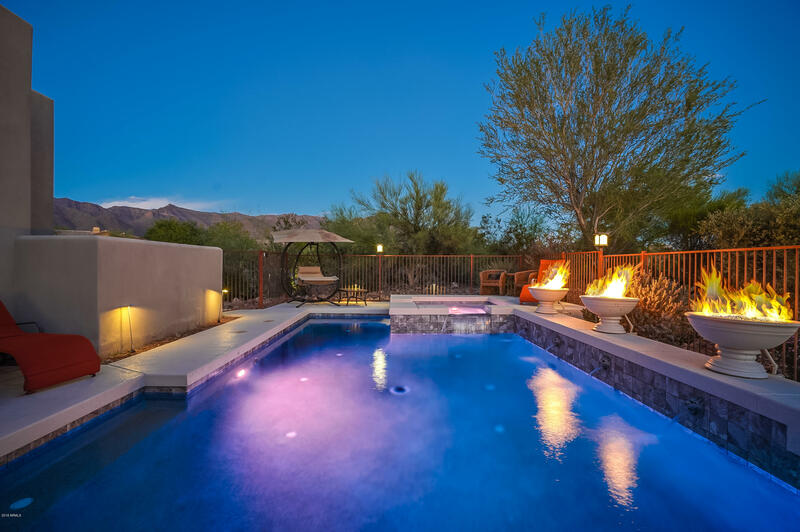 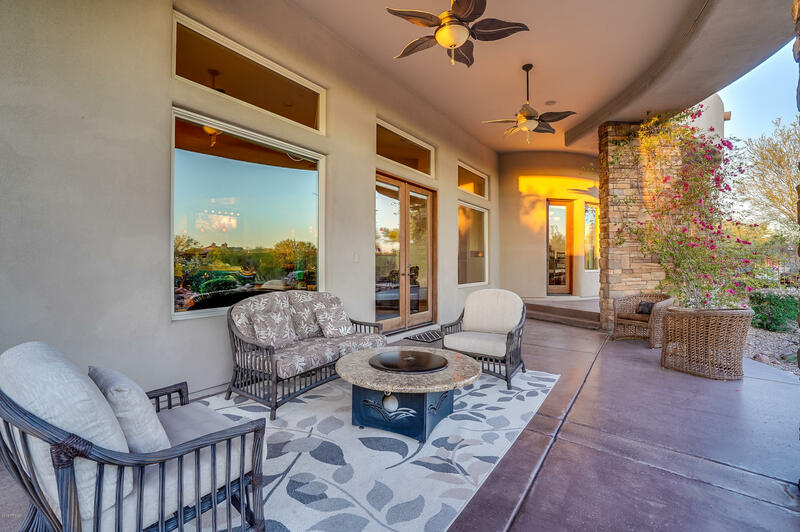 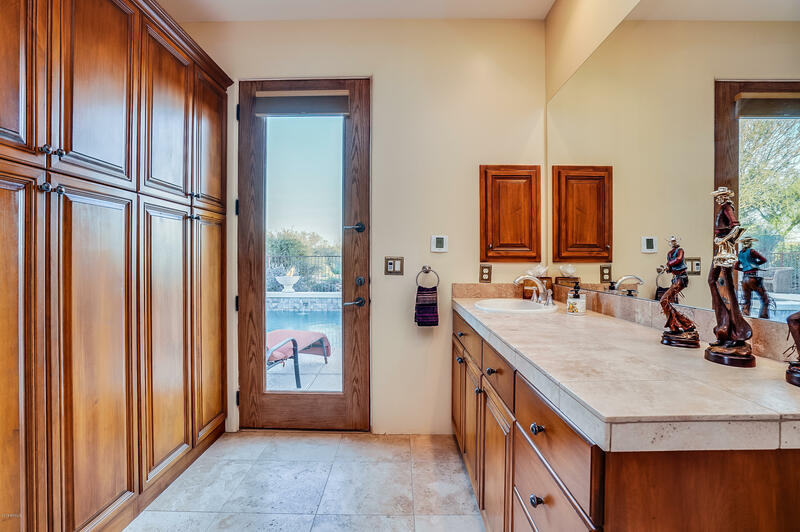 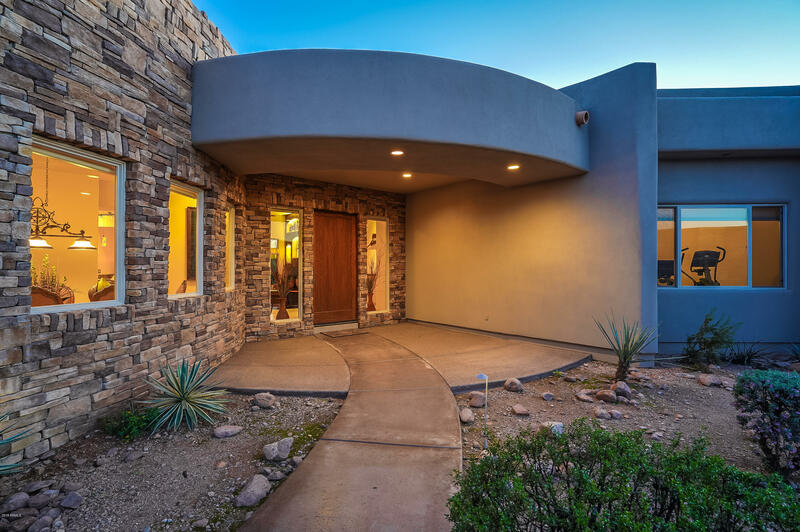 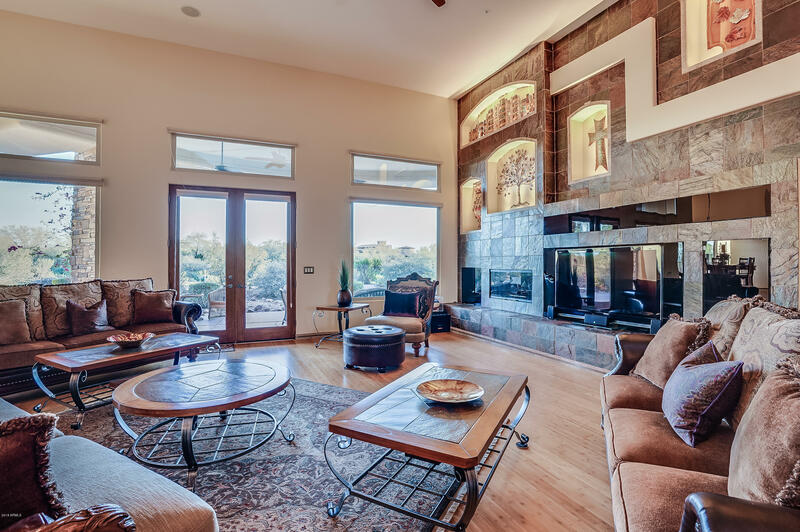 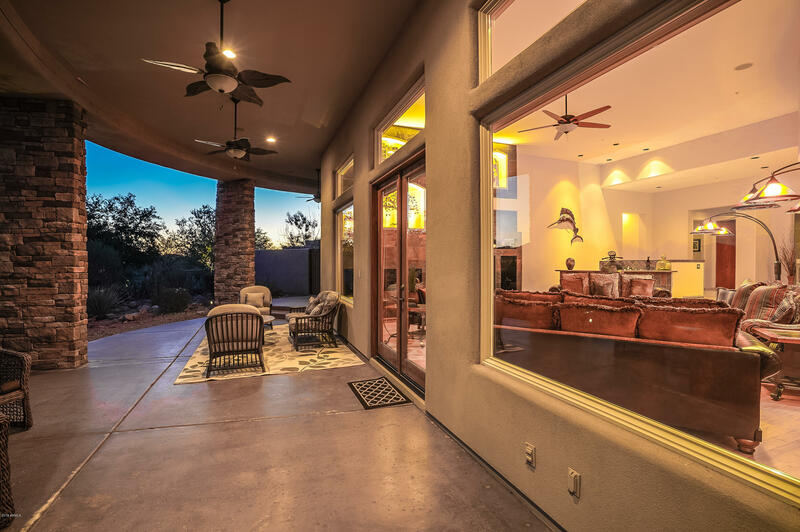 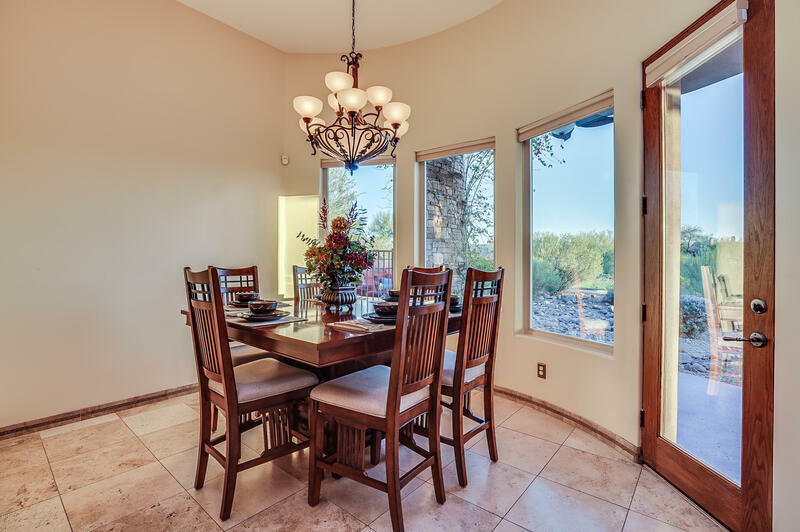 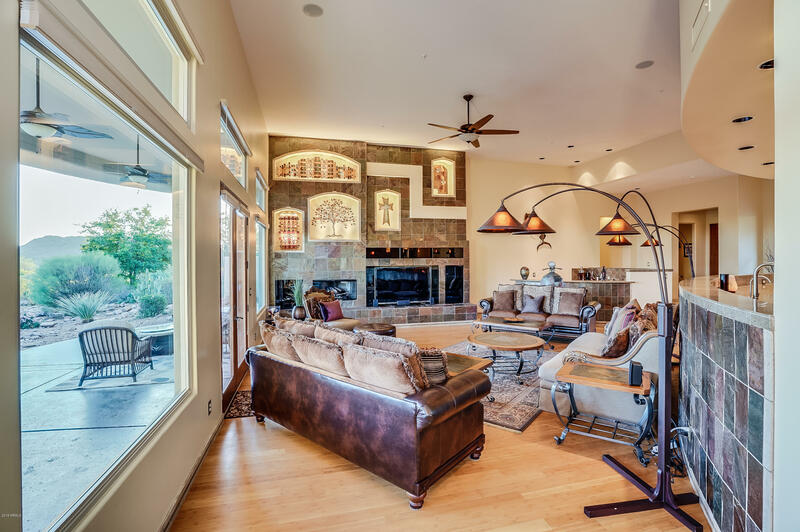 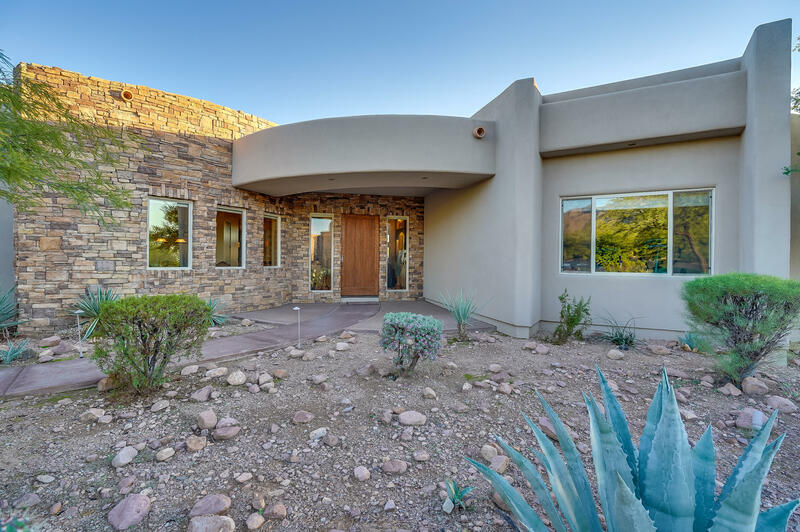 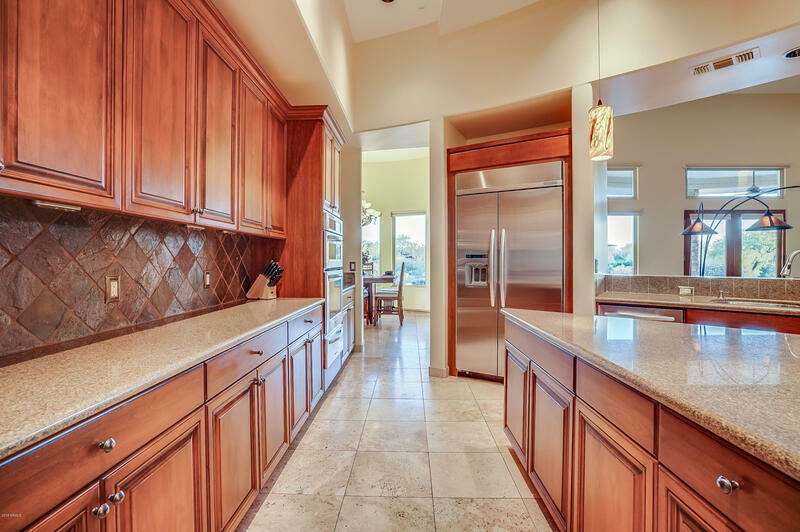 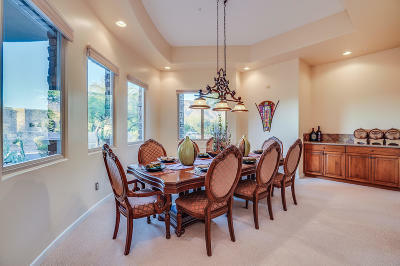 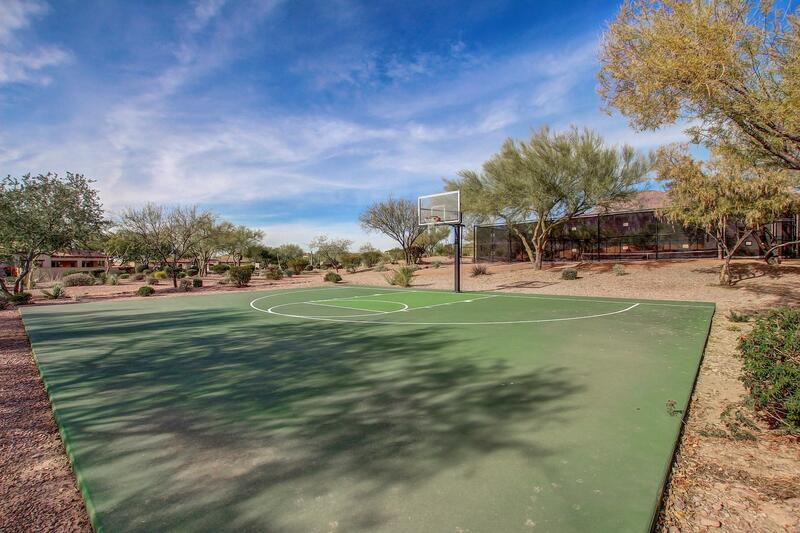 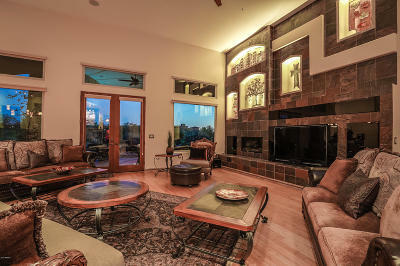 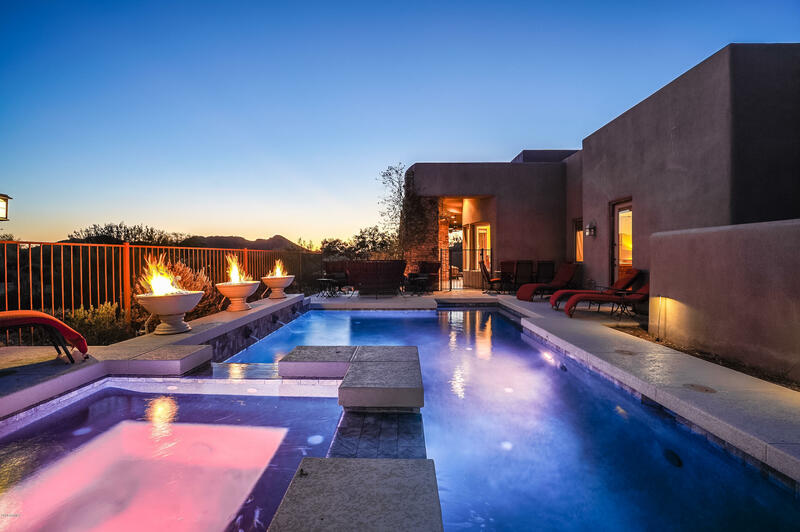 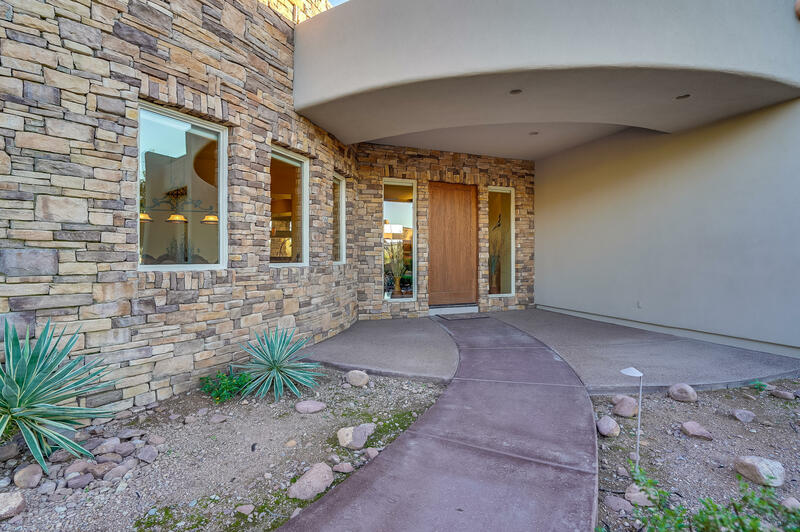 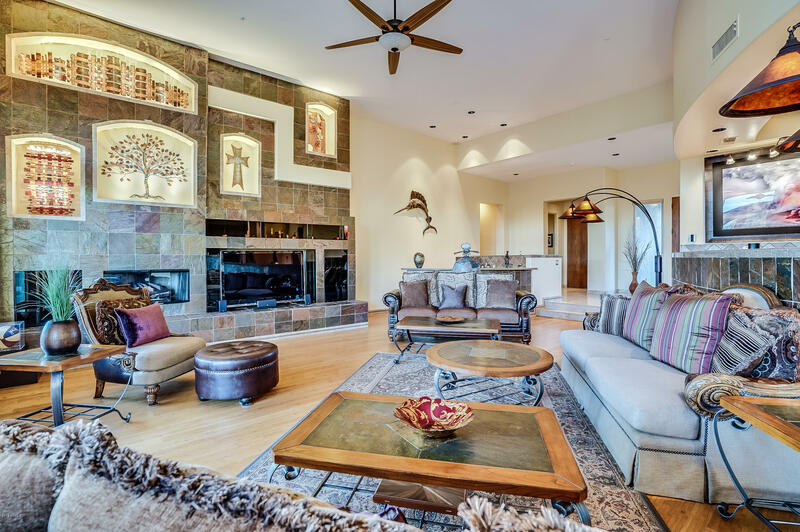 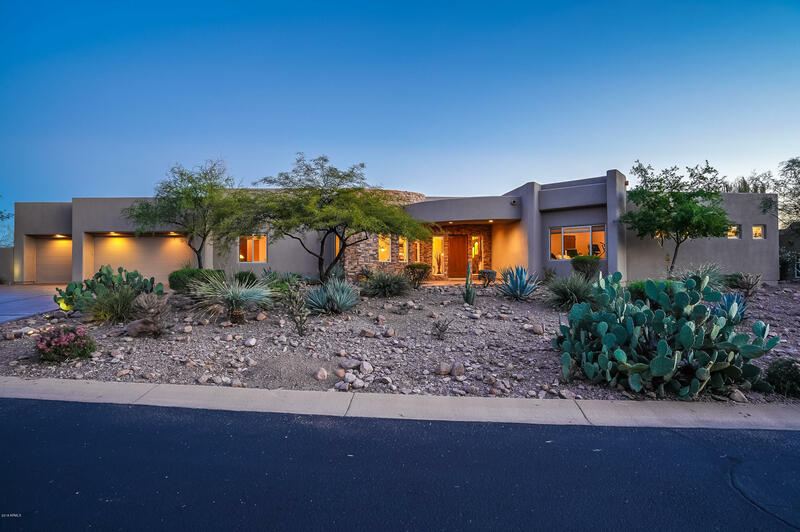 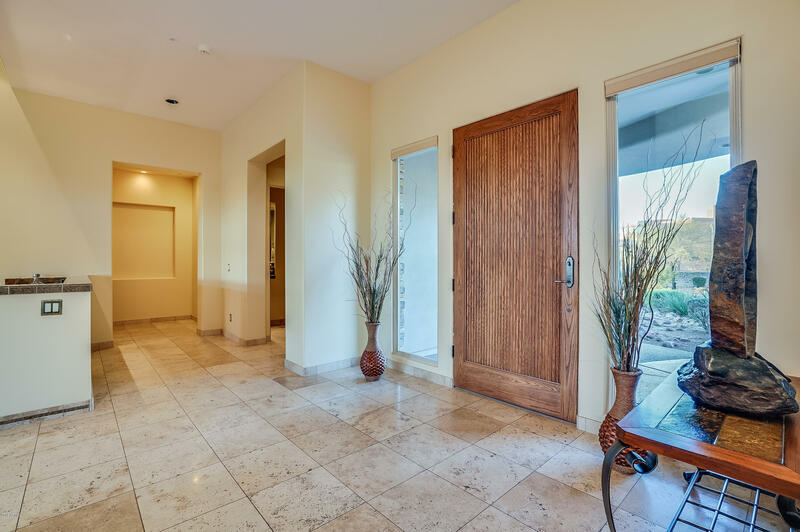 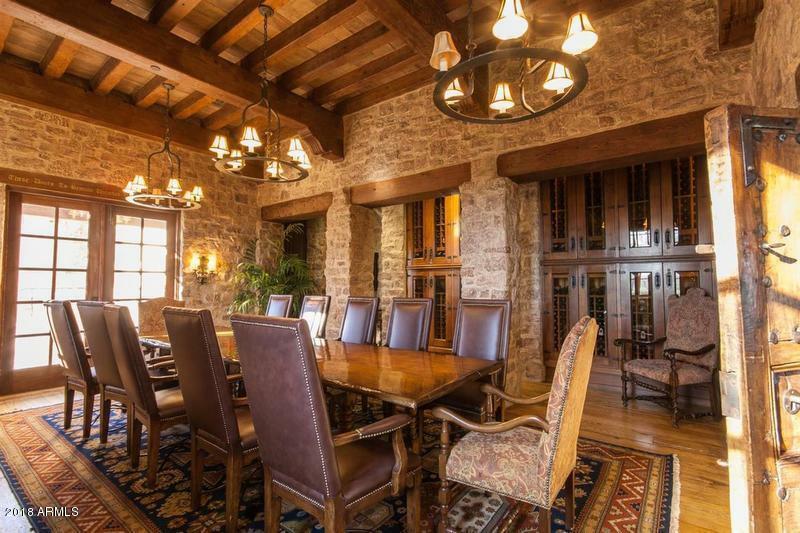 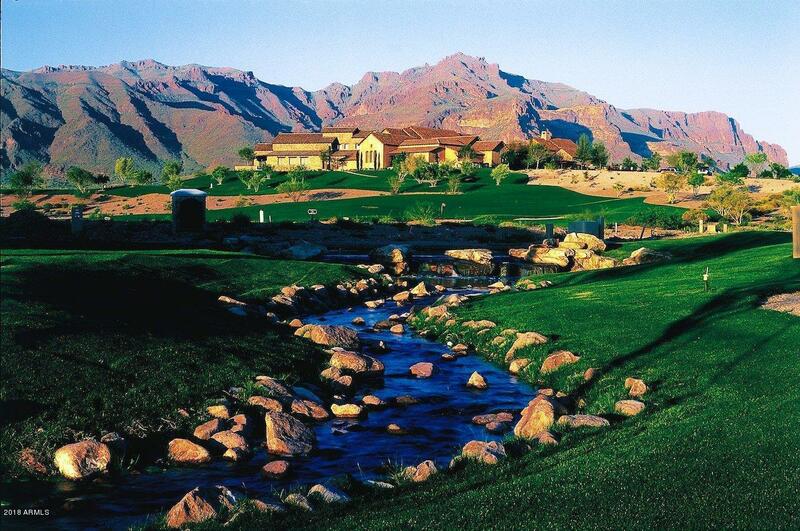 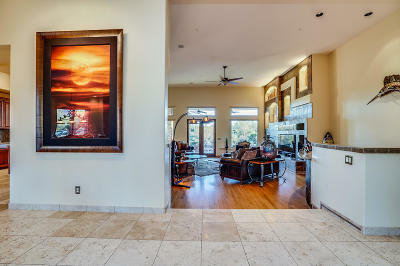 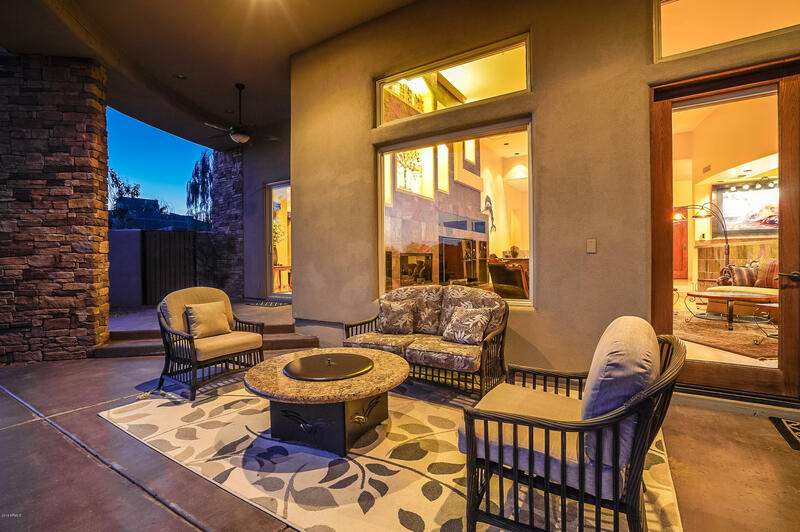 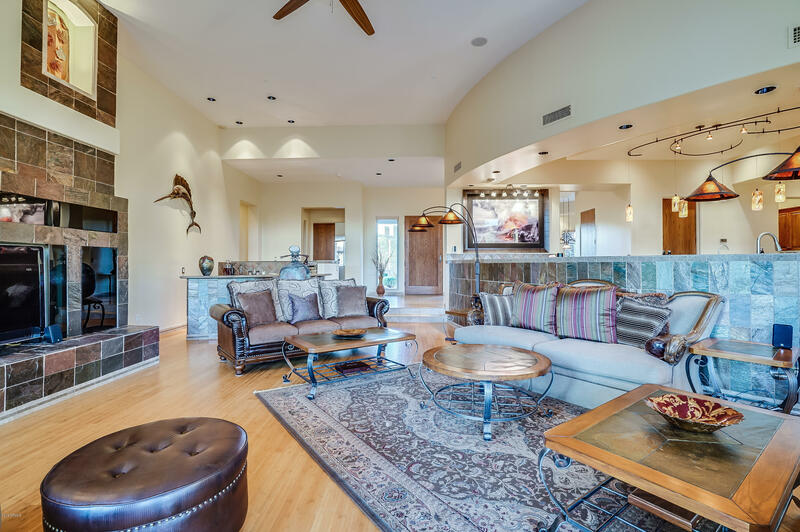 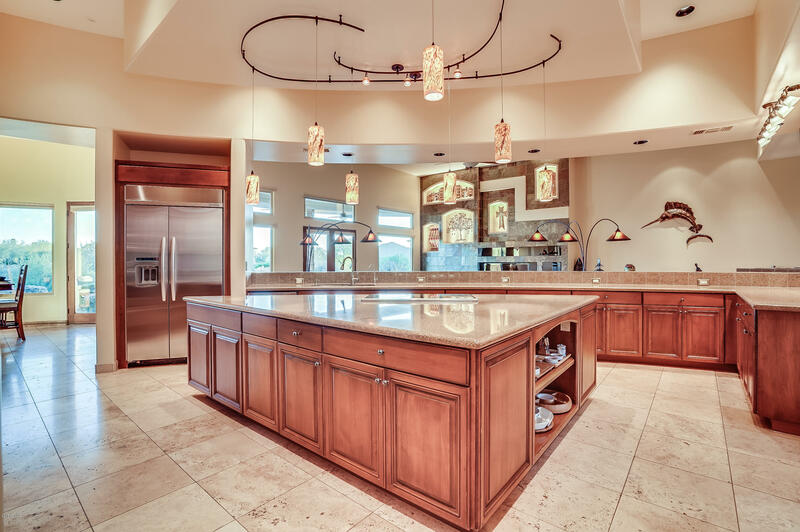 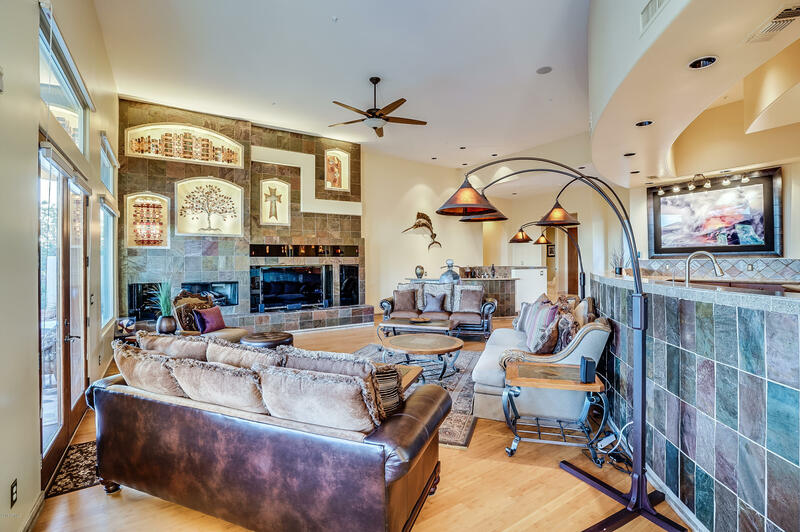 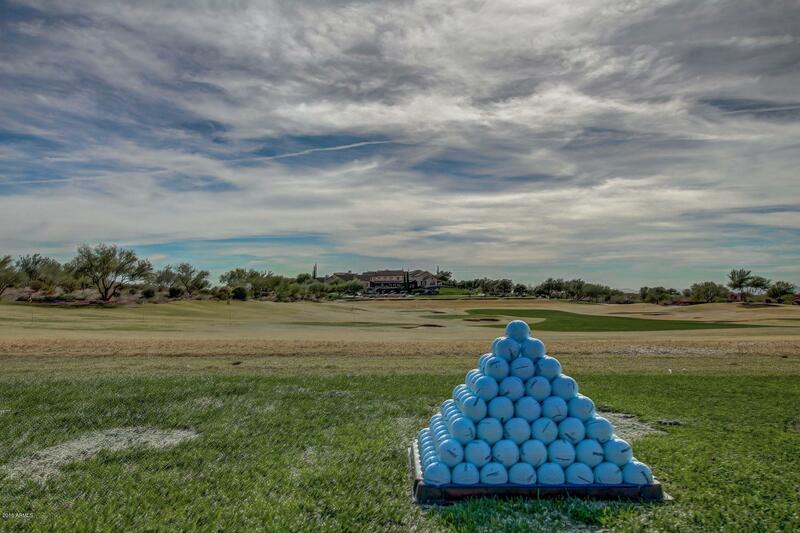 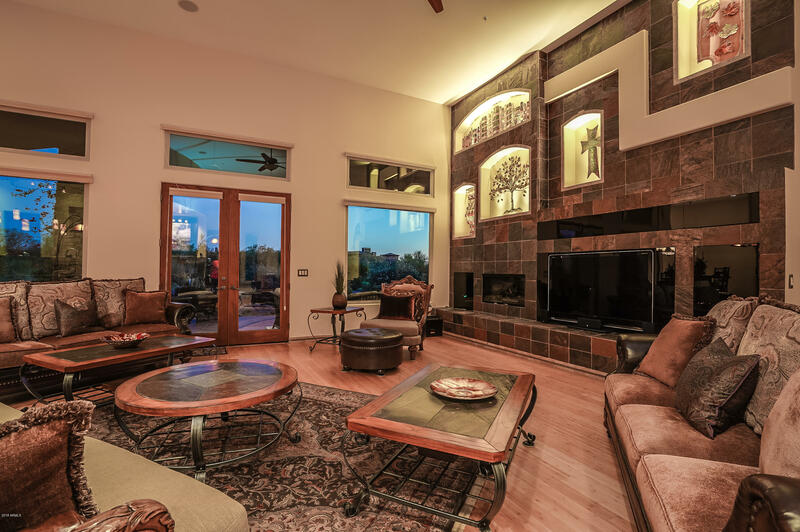 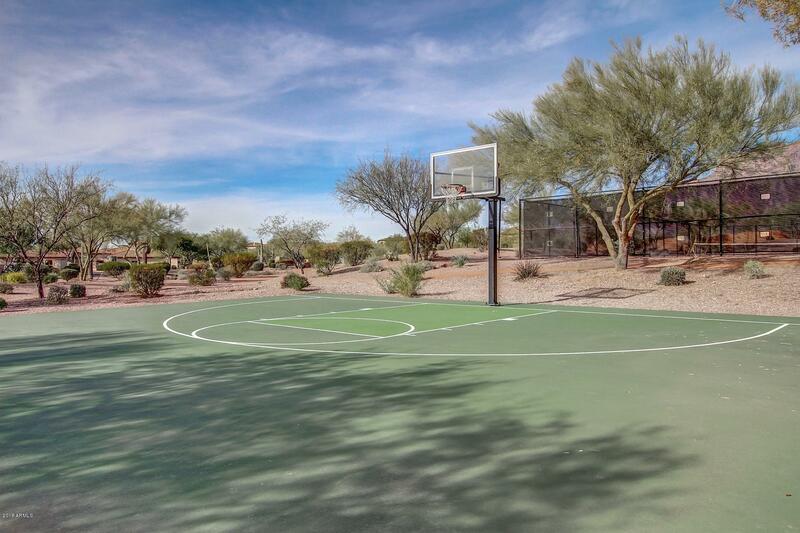 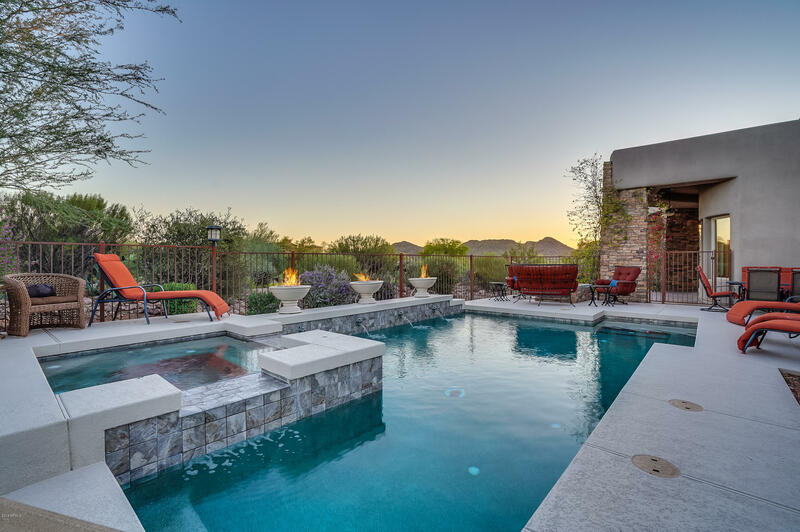 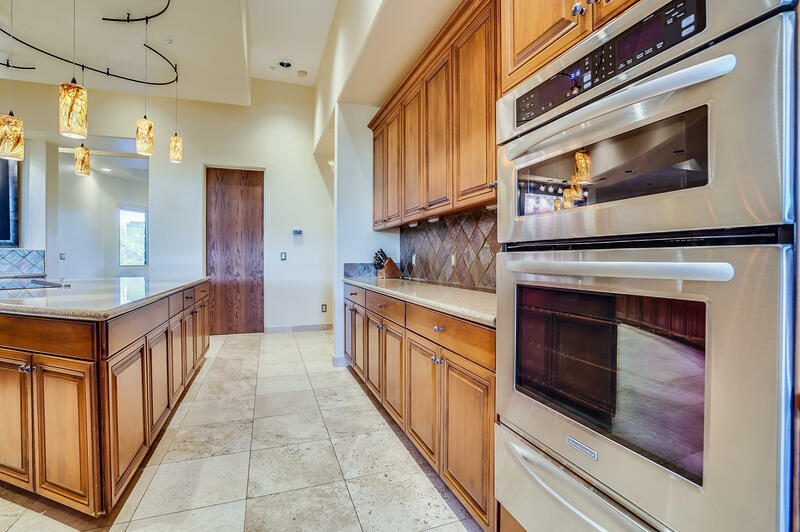 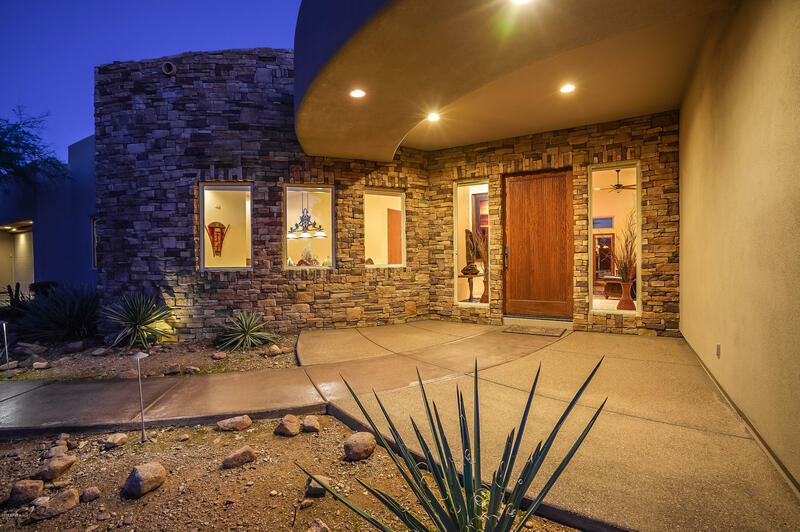 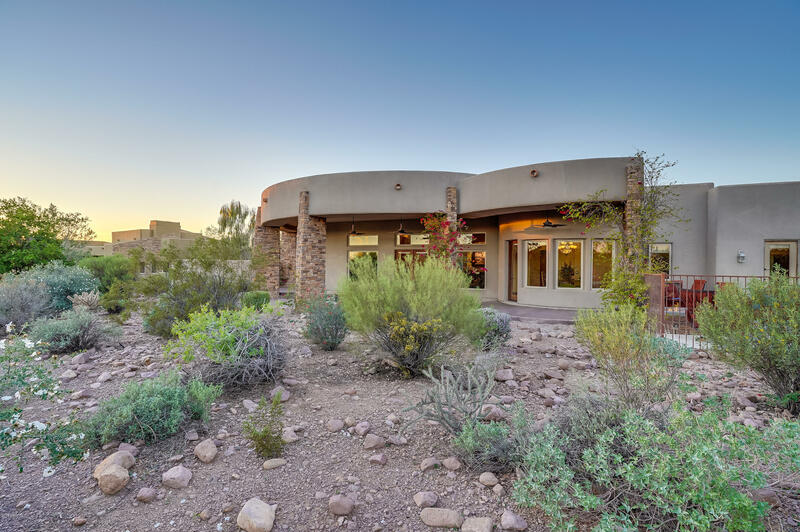 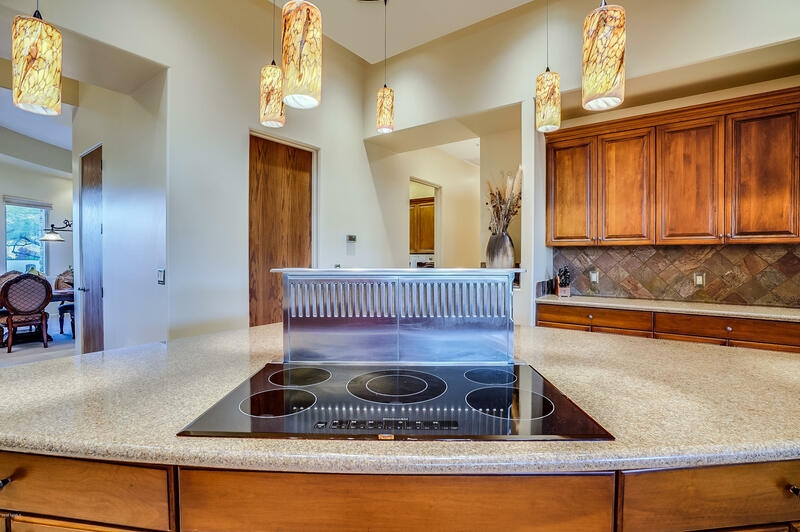 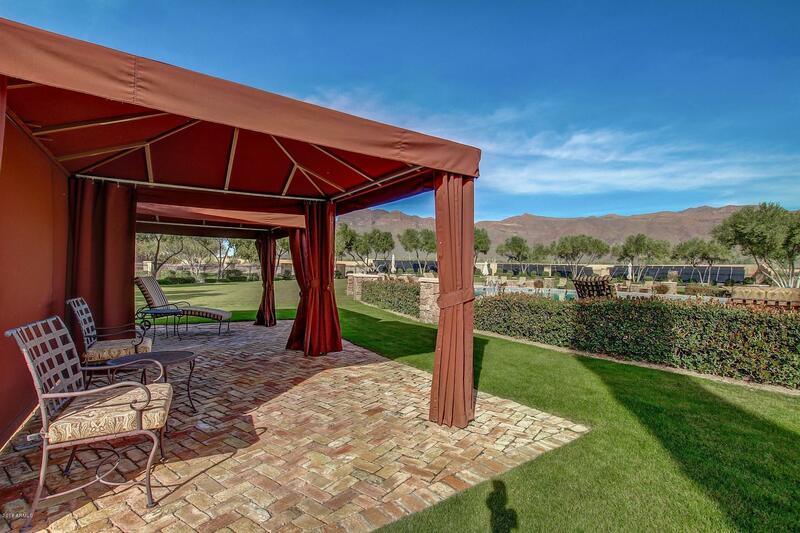 Beautifully designed split master home located on the tee box of the 14th tee box of Prospector Golf Course, one of two Jack Nicholas designed golf courses of Superstition Mtn. 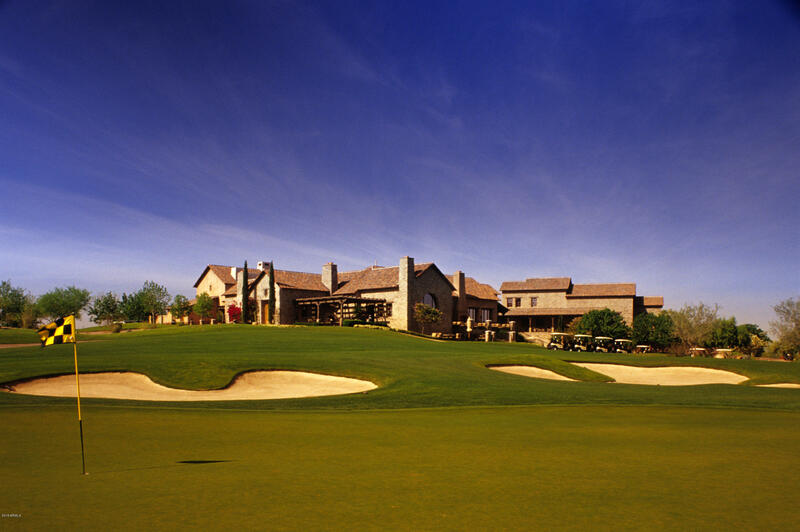 Golf & Country Club. 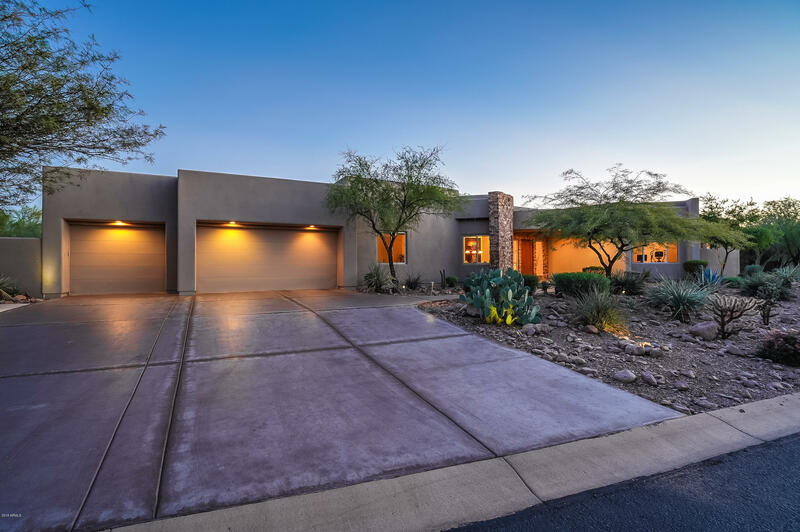 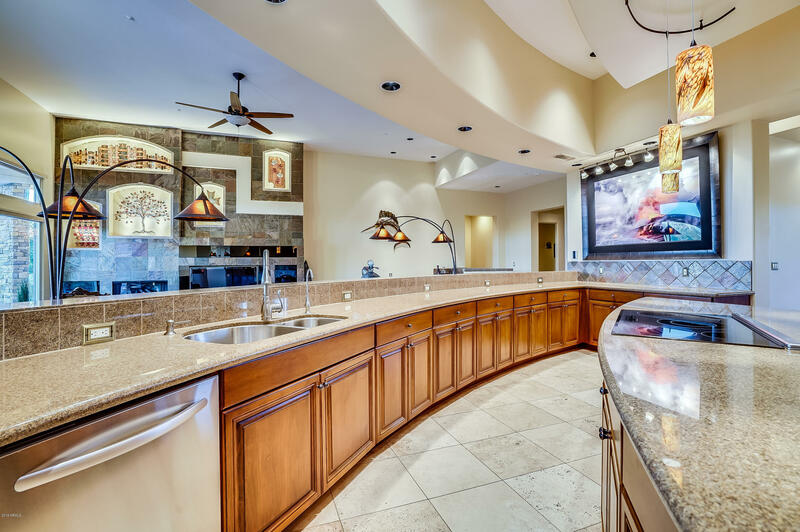 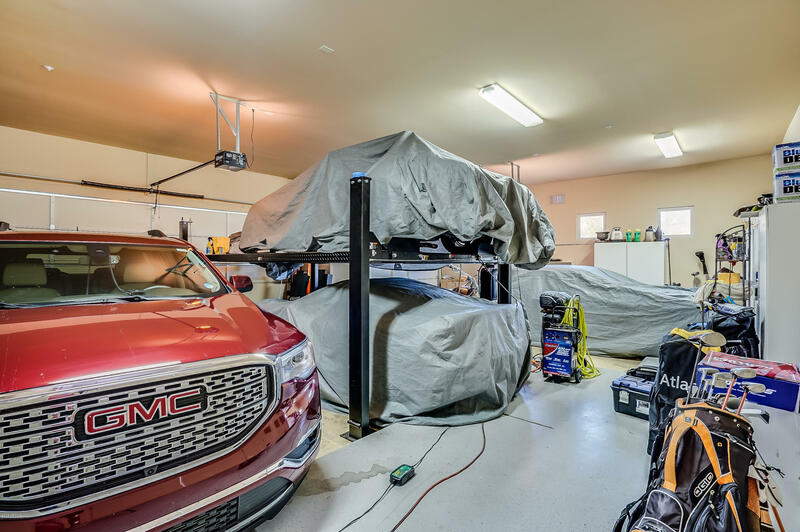 An entertainer's delight with a well planned gourmet kitchen, complete w/large island, custom lighting, granite & Kitchenaid appliances & breakfast room overlooking the spacious great room w/lighted entertainment center & bar & close to the spacious dining room w/buffet. 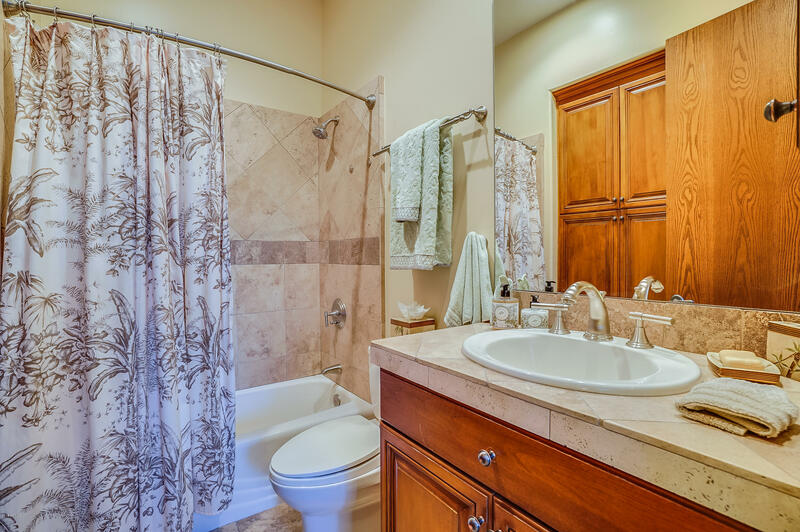 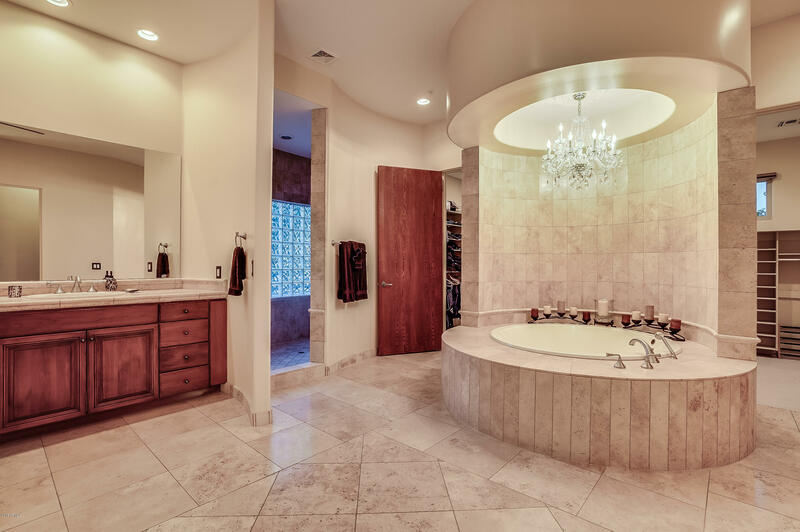 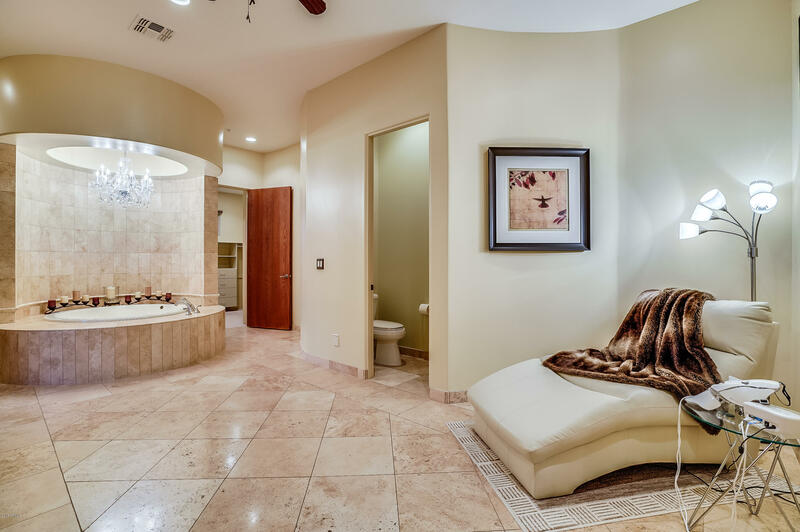 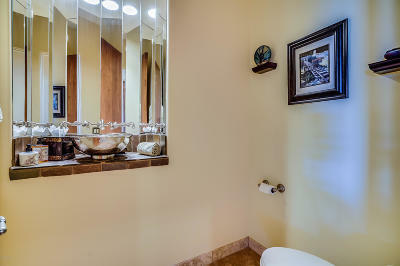 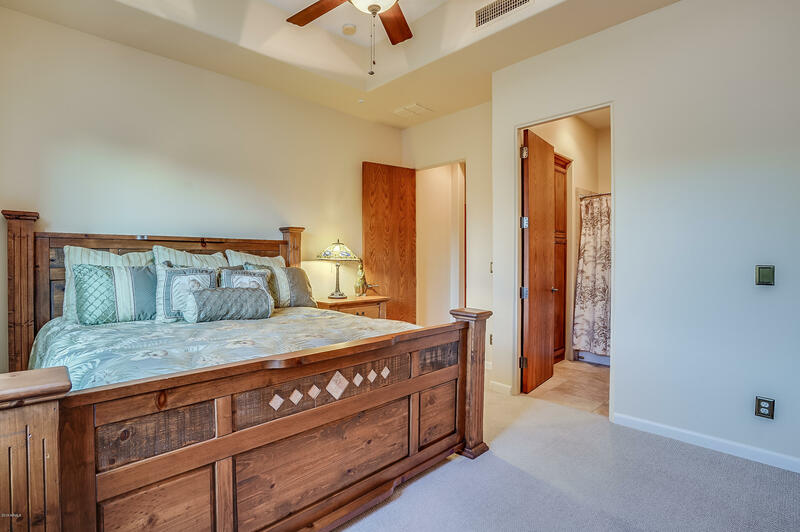 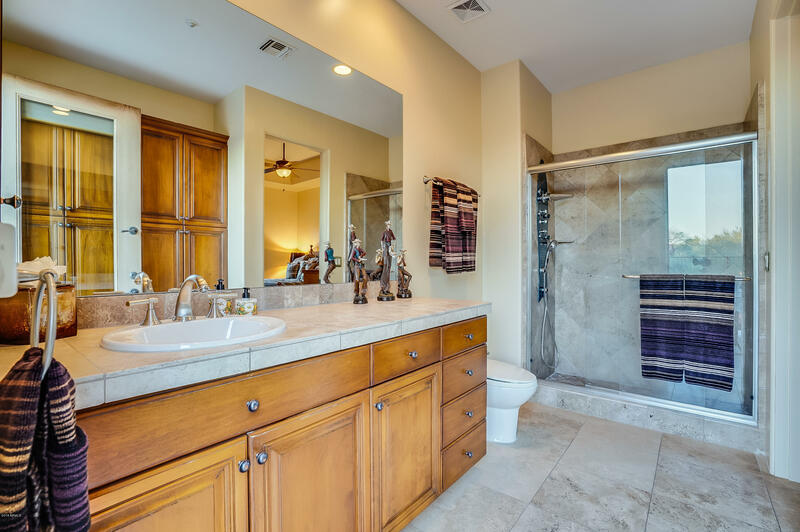 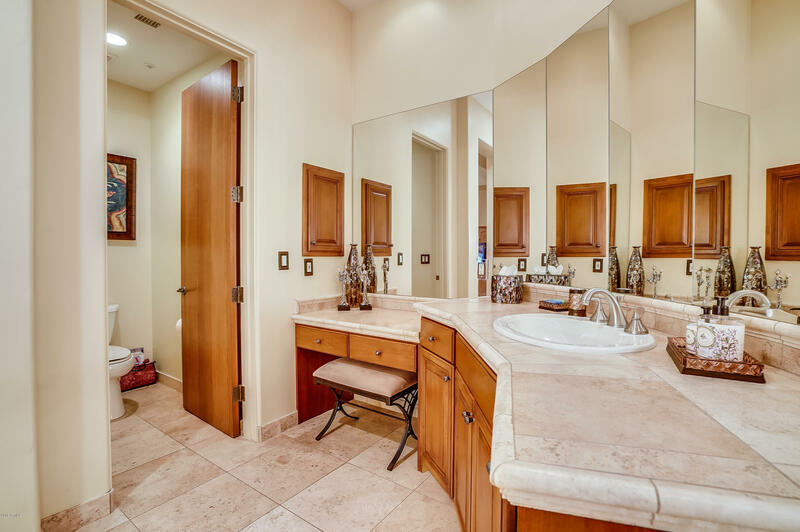 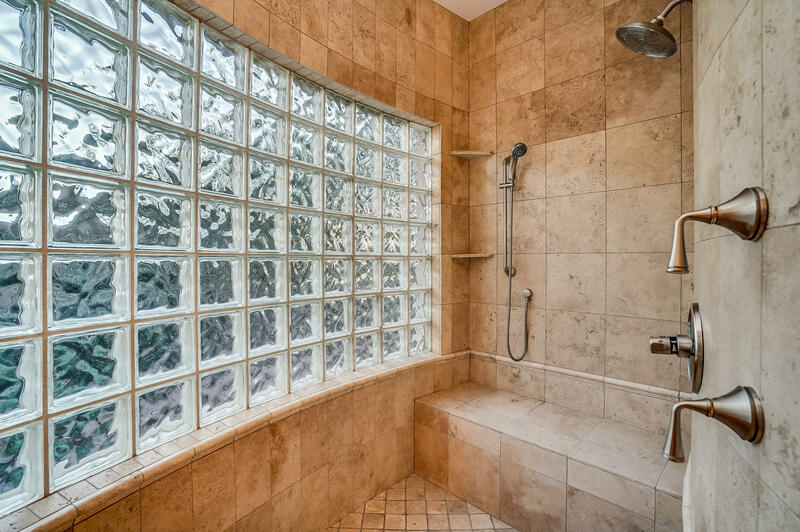 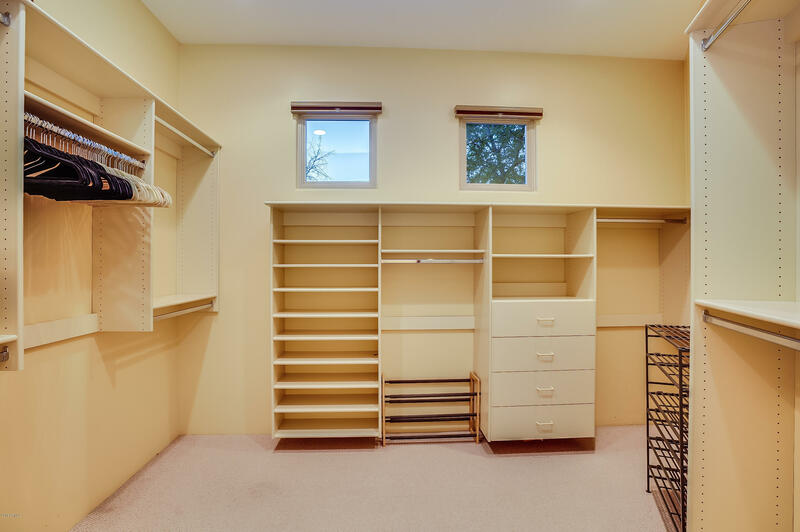 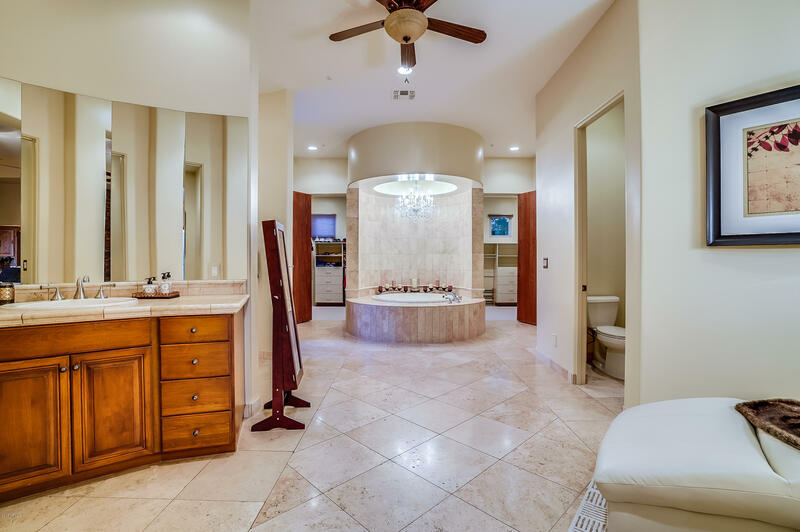 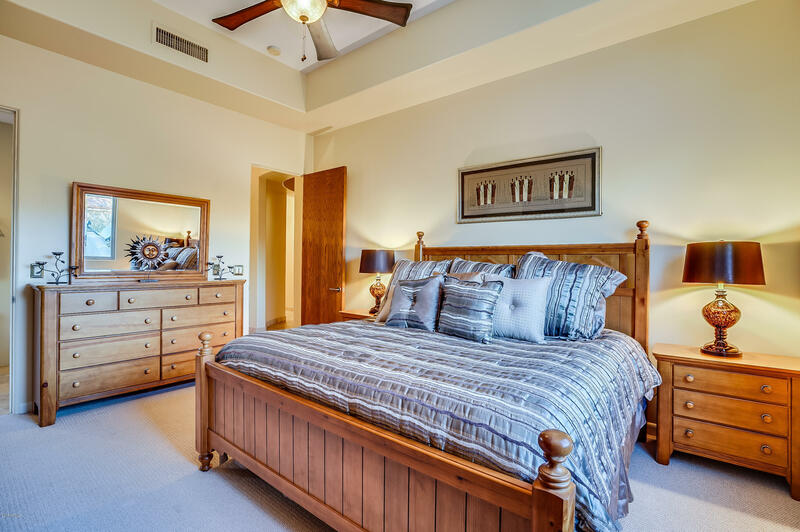 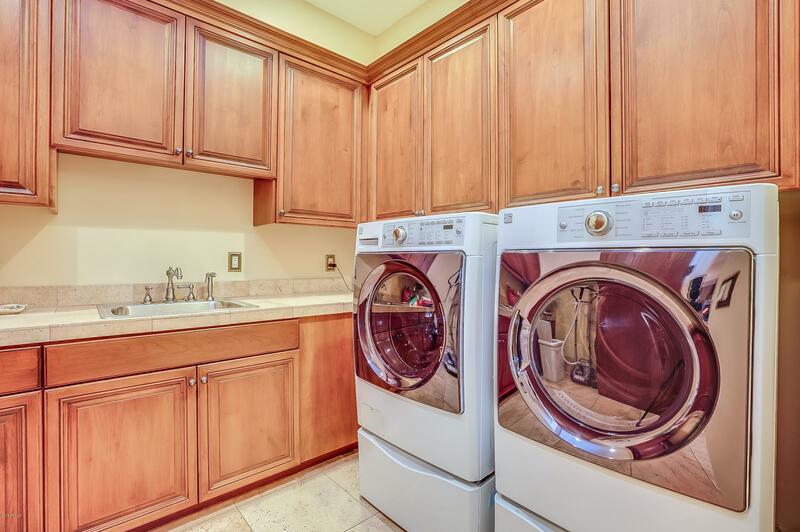 A master ensuite like no other w/high/low vanities, custom closets, sitting area w/two sided fireplace, huge walk in shower & circular tub/chandelier. 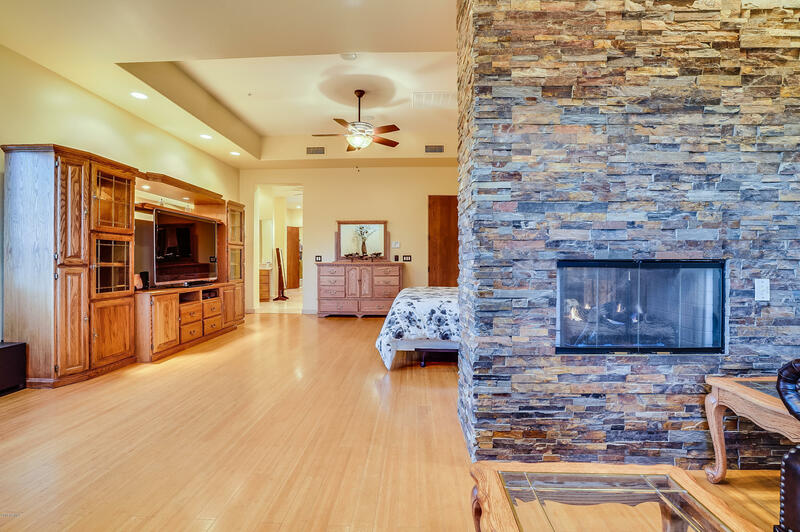 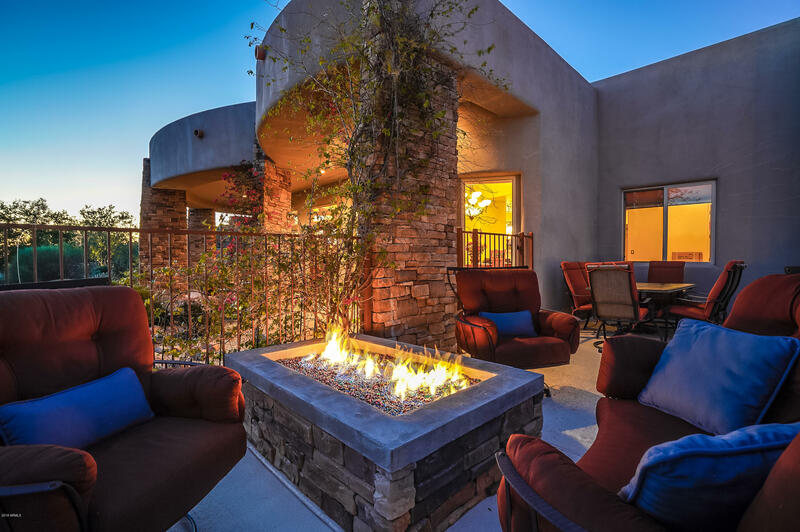 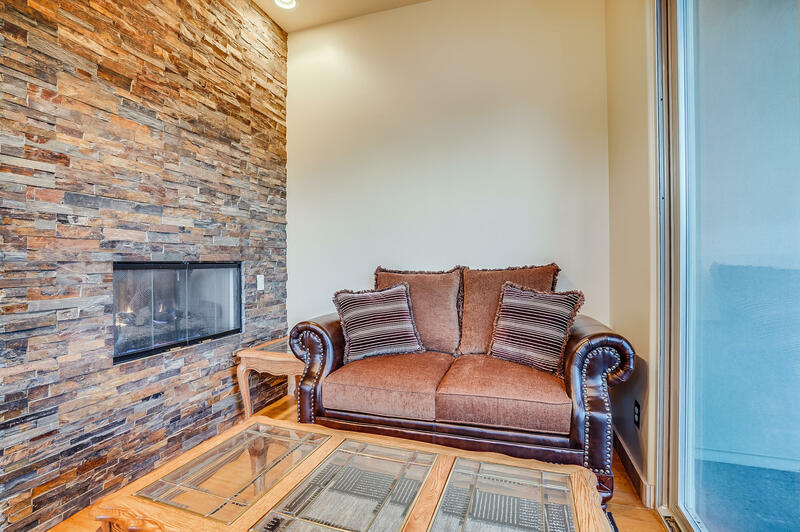 Some of many upgrades include designer lighting, fans, new A/Cs, heated pool & spa with special programable features, fire pit & more. 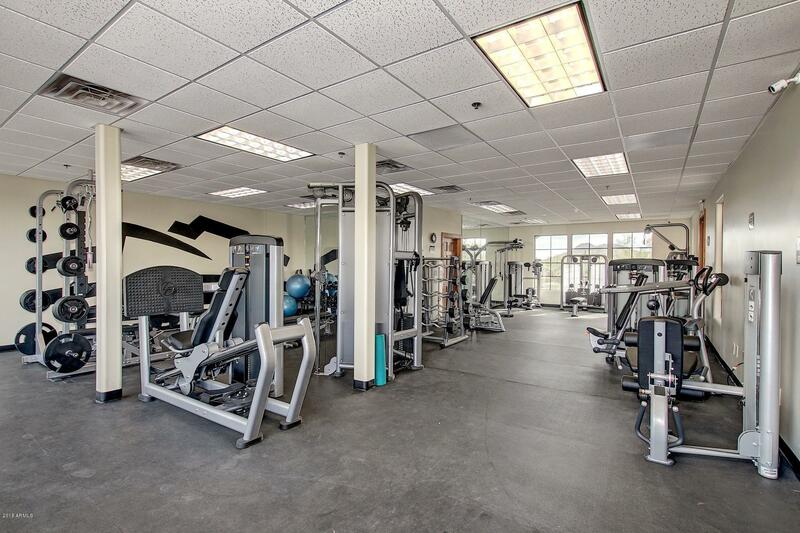 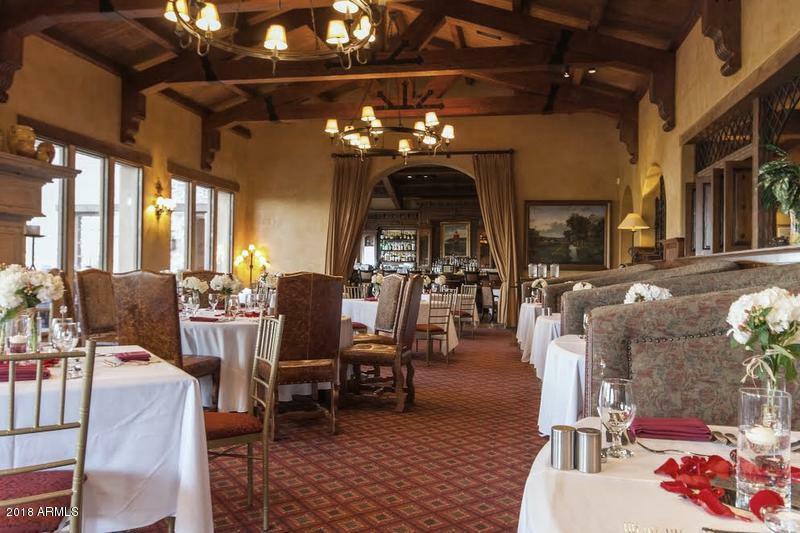 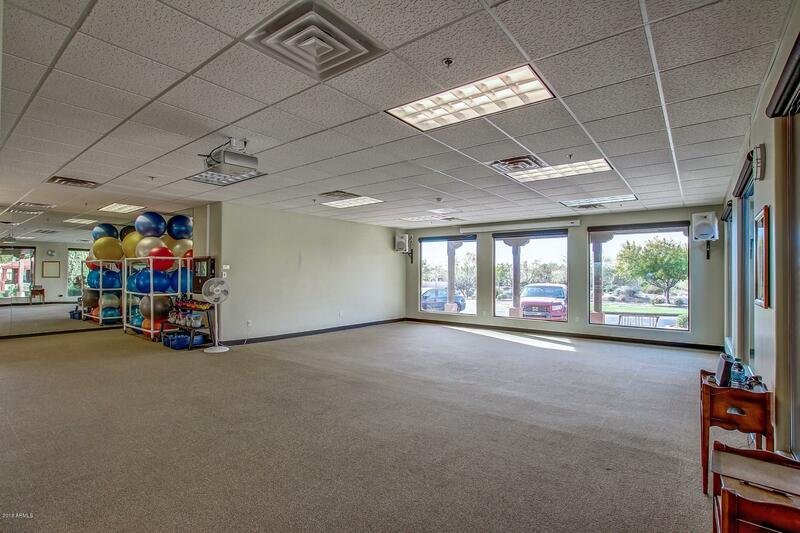 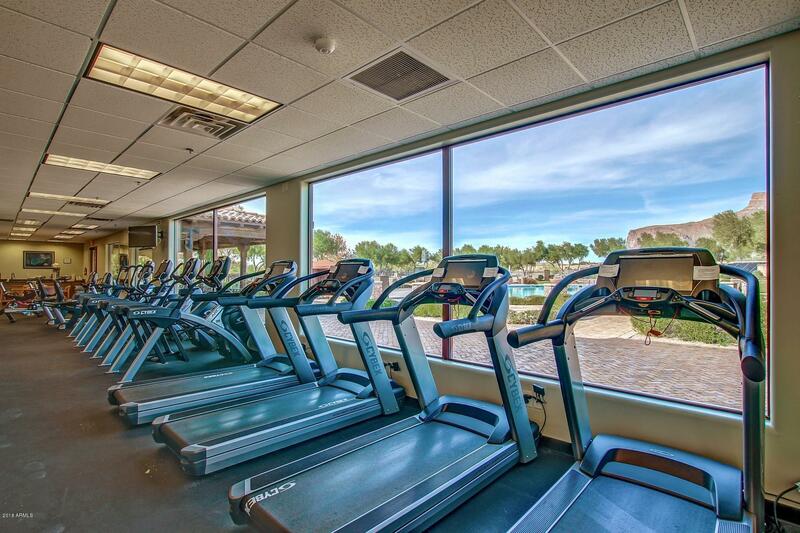 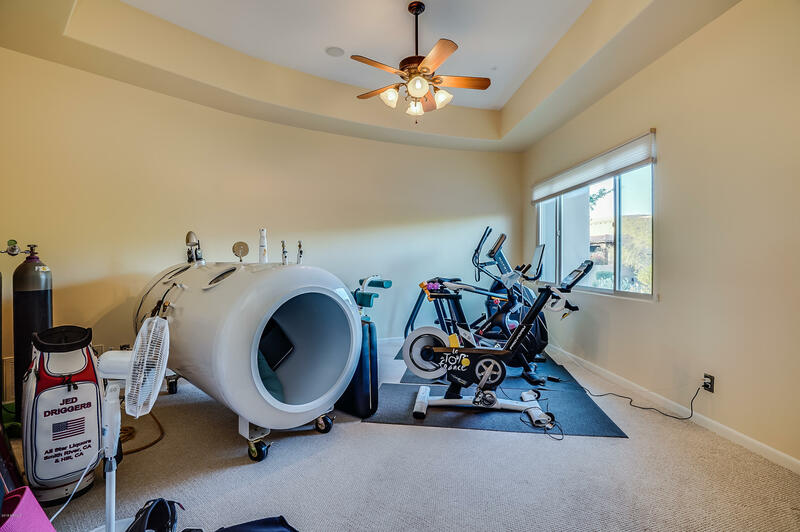 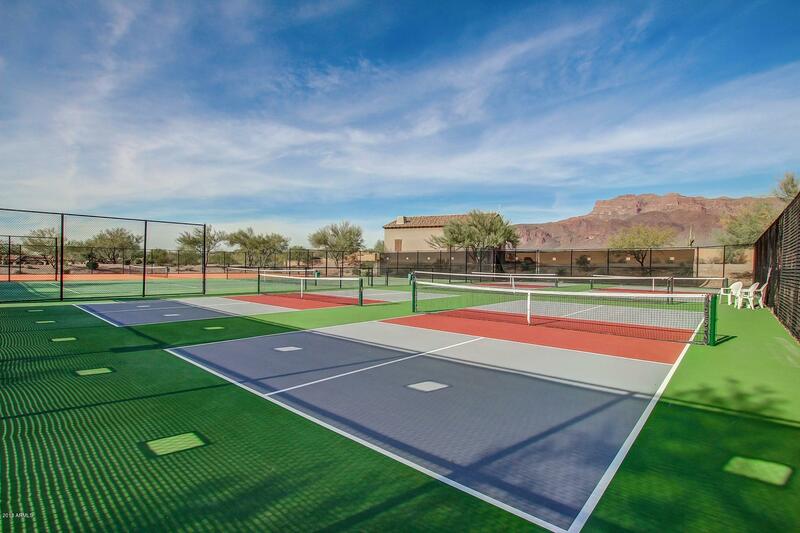 Join the club for golf or as a social member In addition to golf & social events, this exclusive community offers parks, a Sports Center with state of the art gym equipment, trainers & classes, heated community pool & spa, tennis, sports courts, pickle ball & bocce courts. 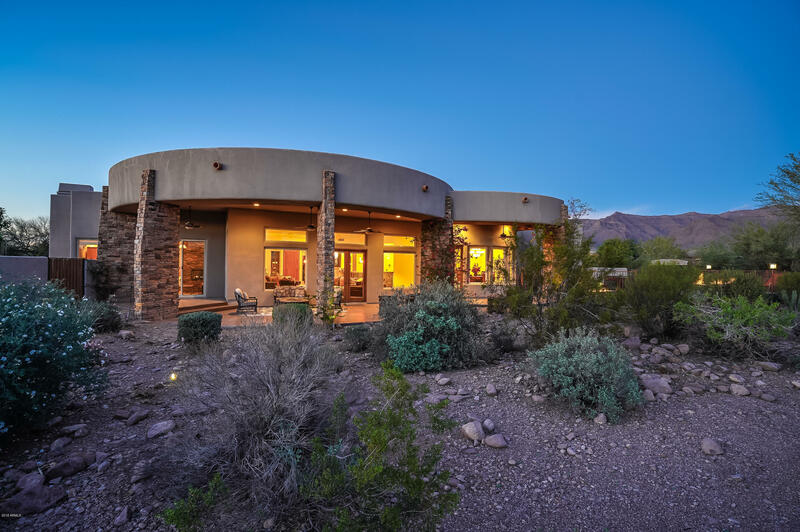 Incredible mountain, desert & city light views.